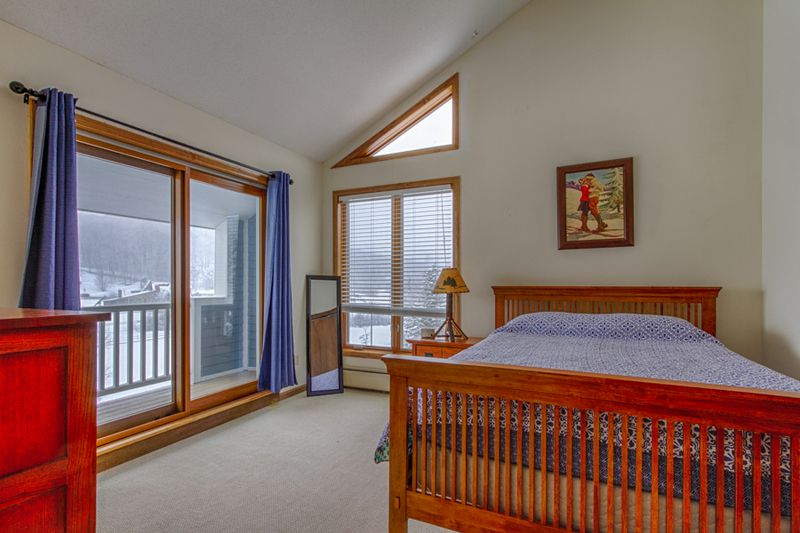 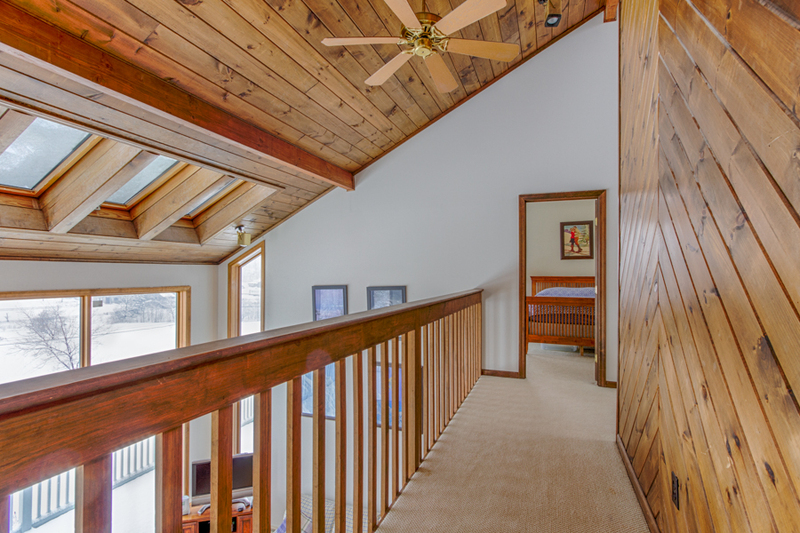 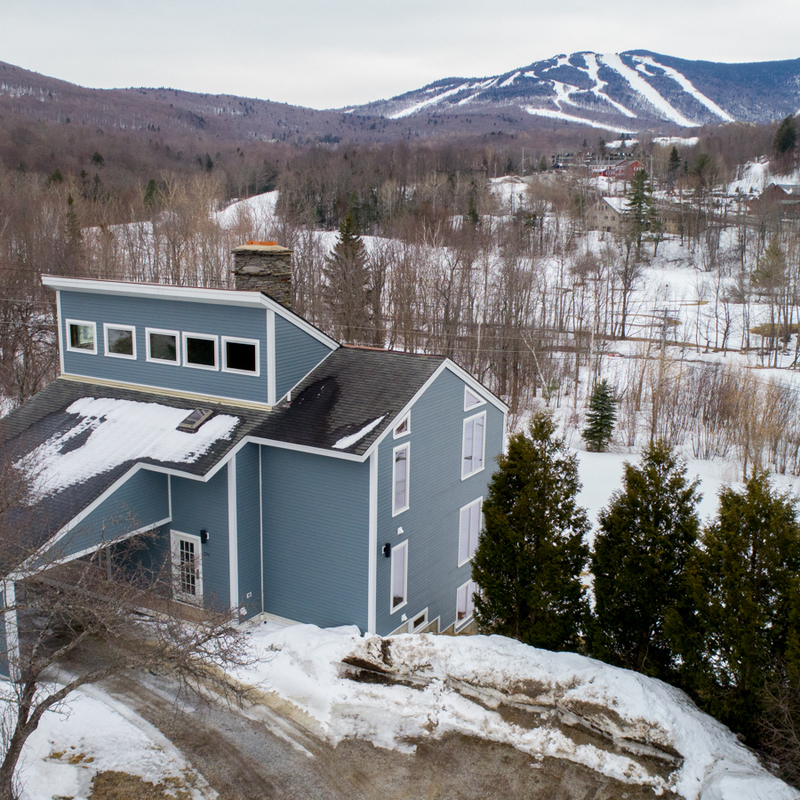 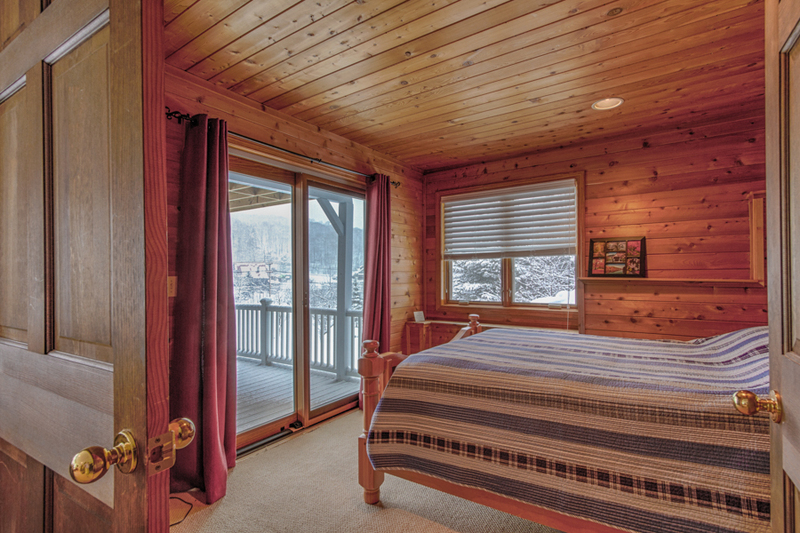 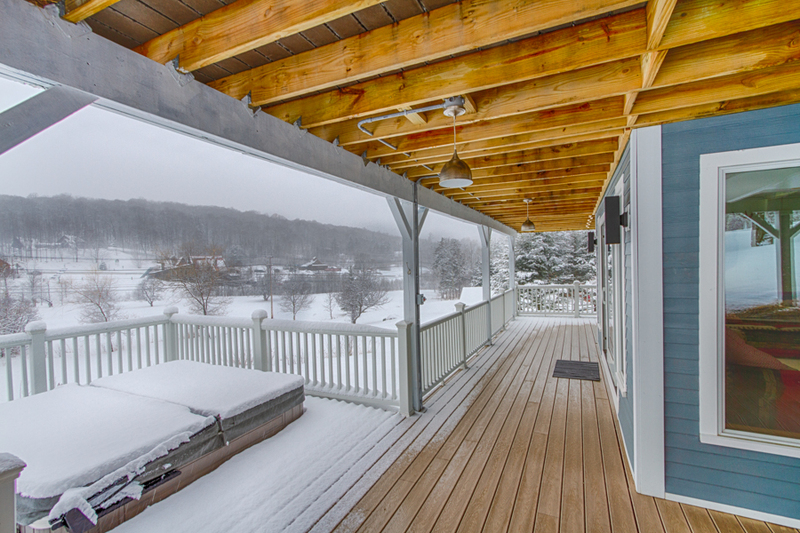 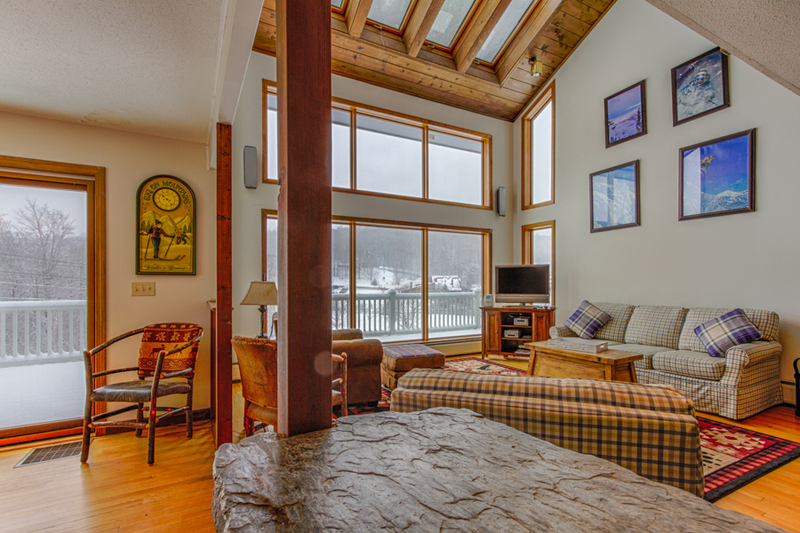 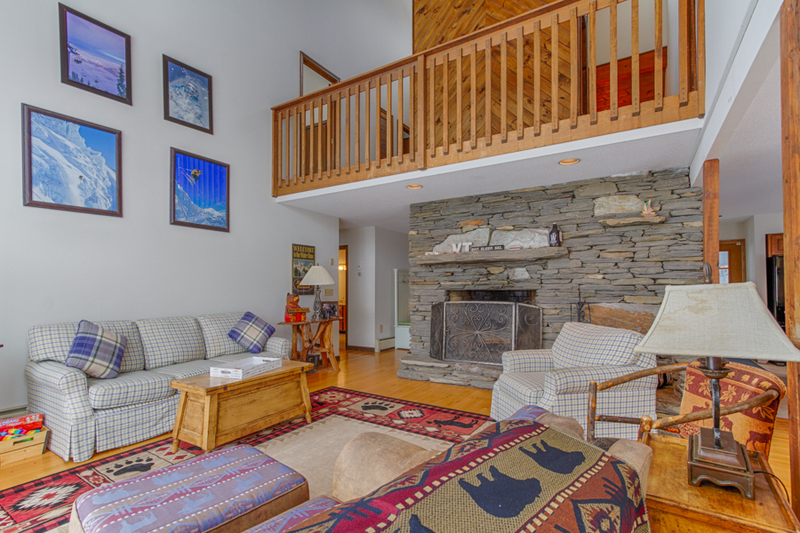 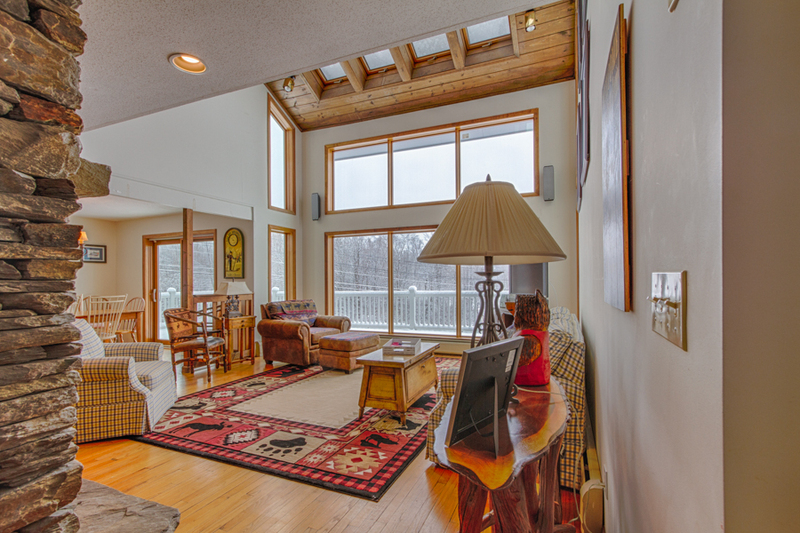 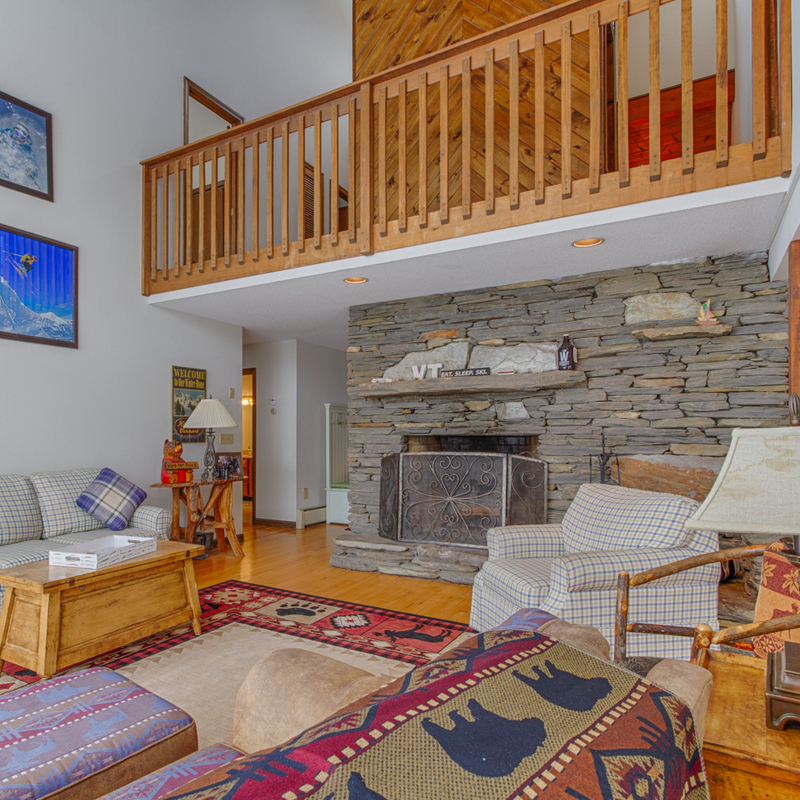 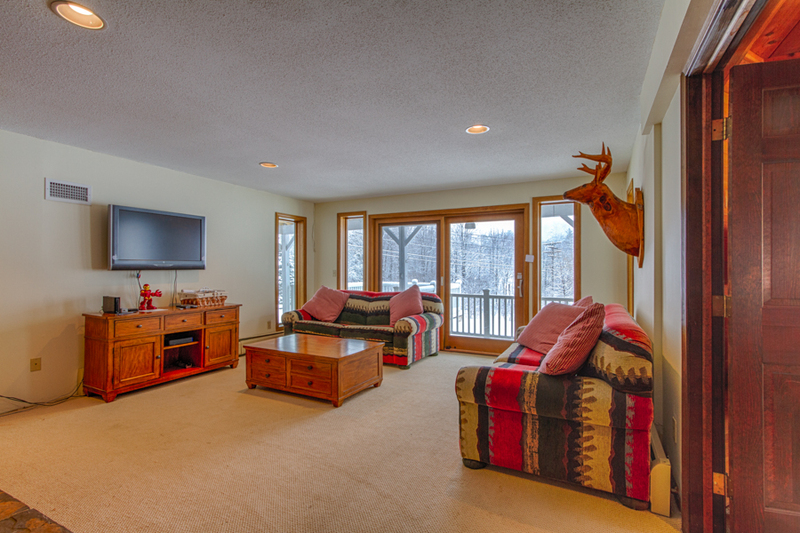 This spacious ski house conveniently located in the heart of Killington Basin has fabulous ski trail and golf course views. 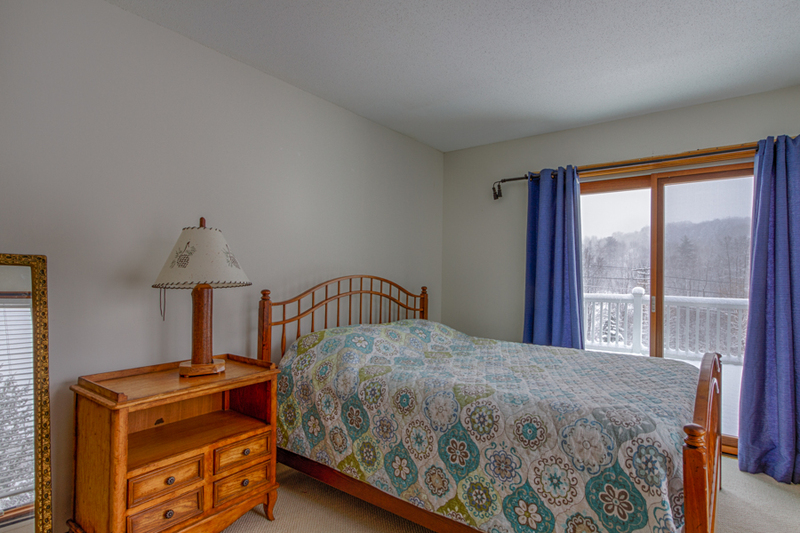 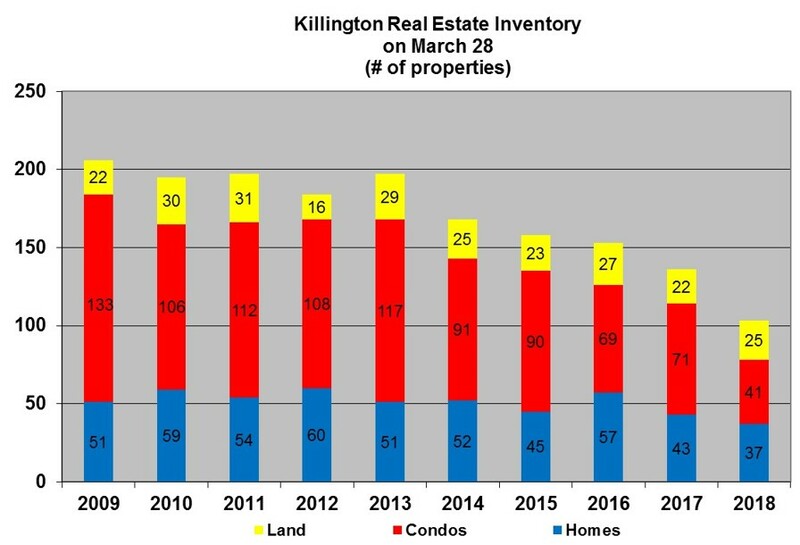 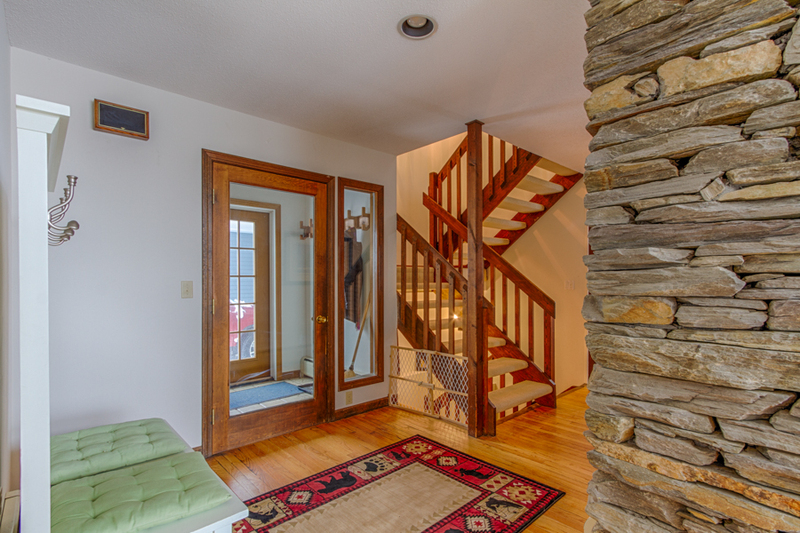 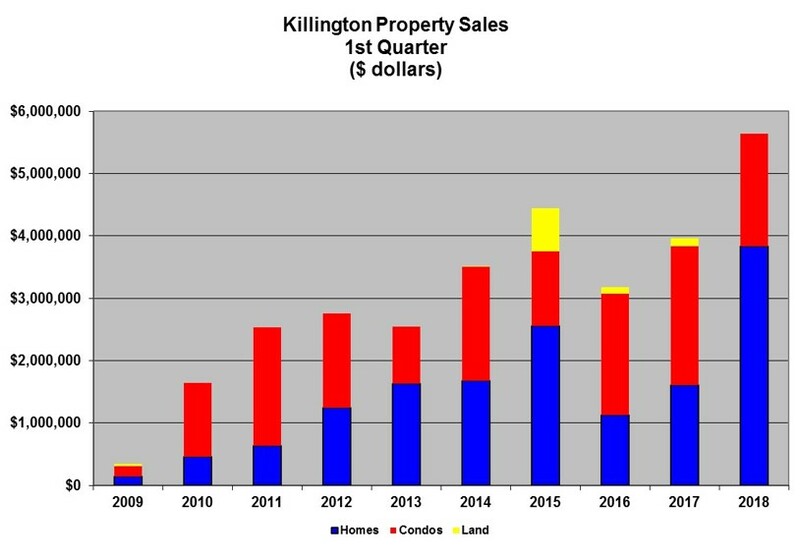 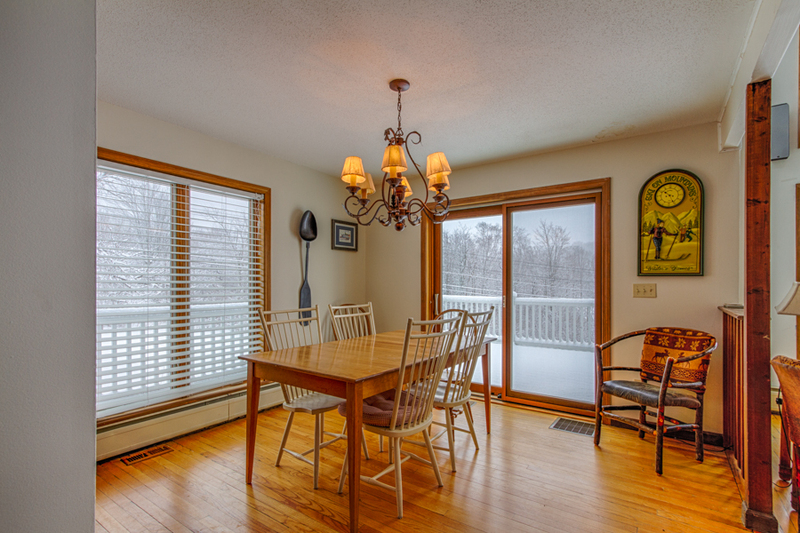 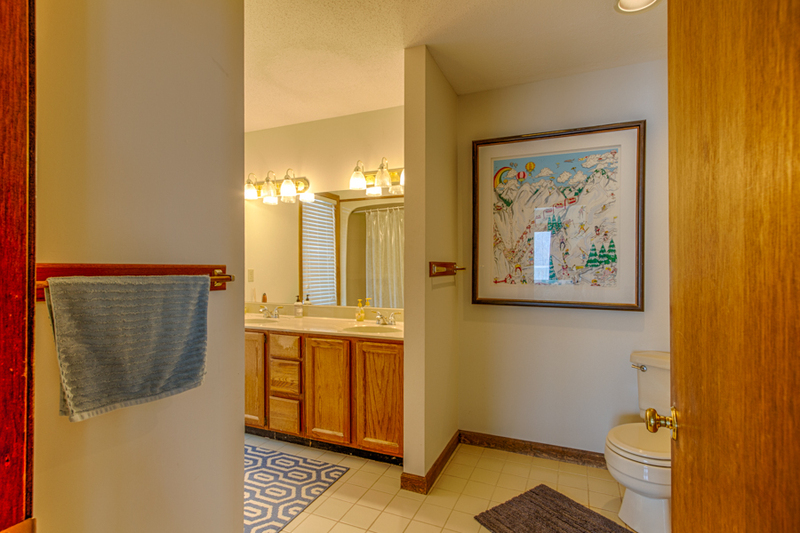 It is within walking distance to Killington Road shopping, restaurants, and bars. 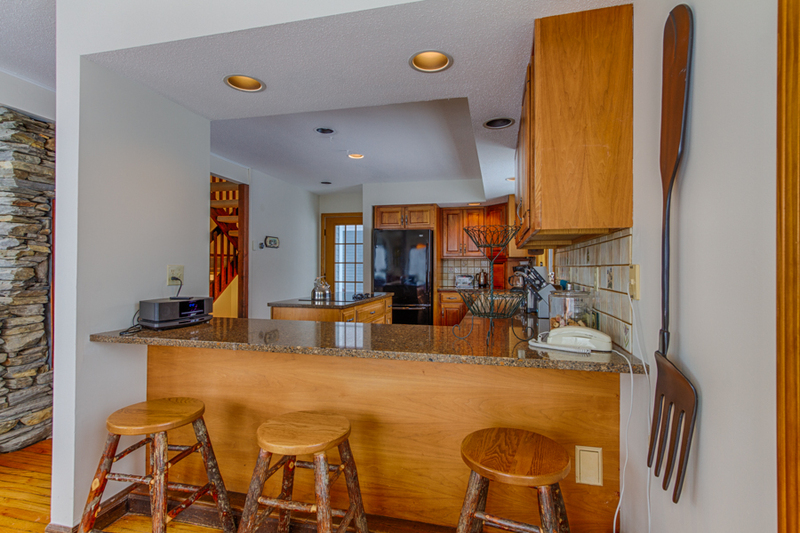 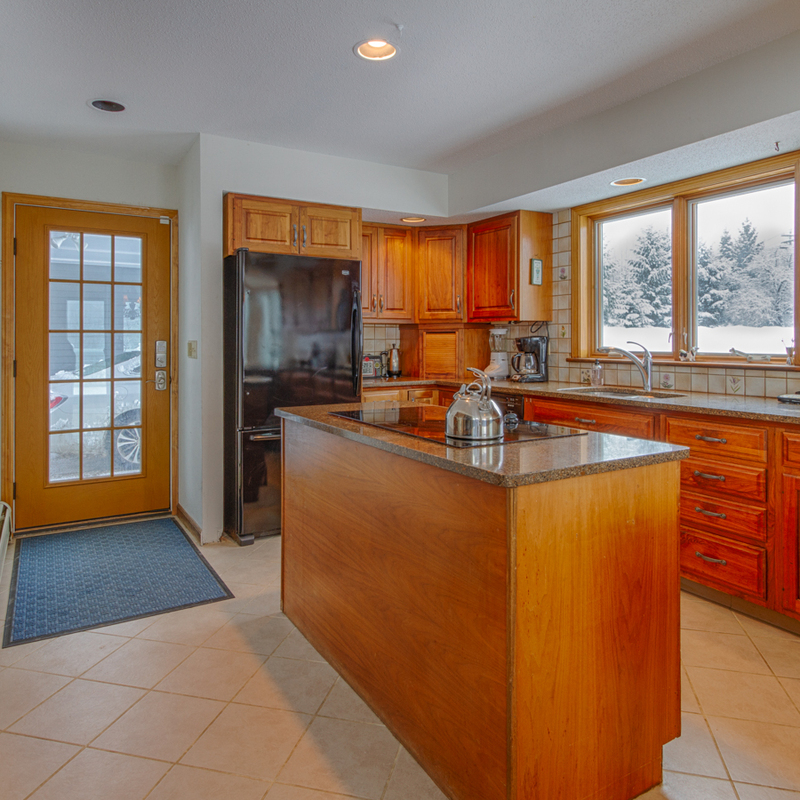 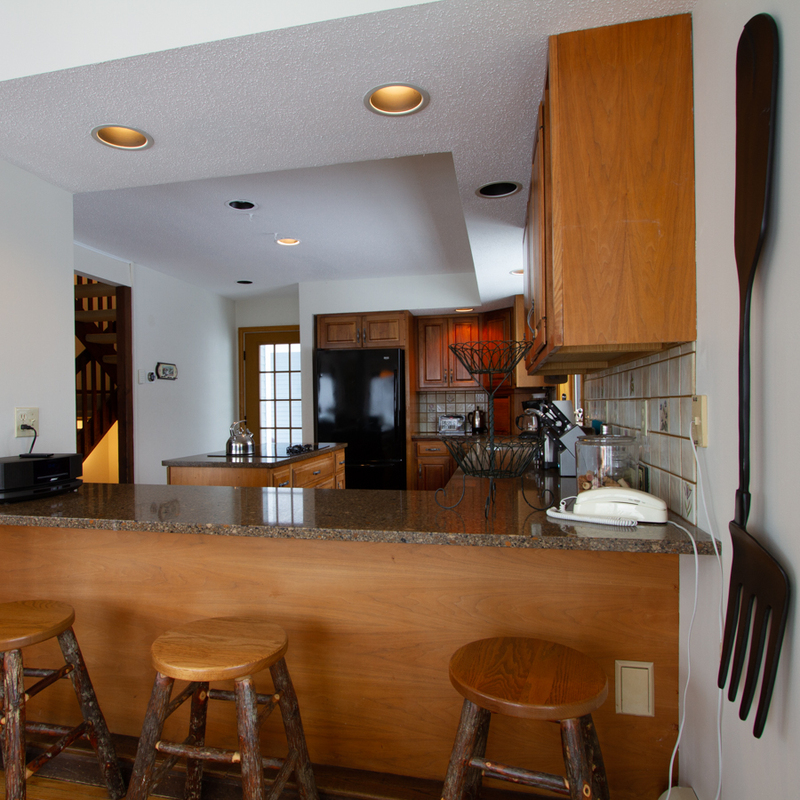 The updated kitchen features wood cabinets, granite counters, cooktop in kitchen island, and wall ovens. 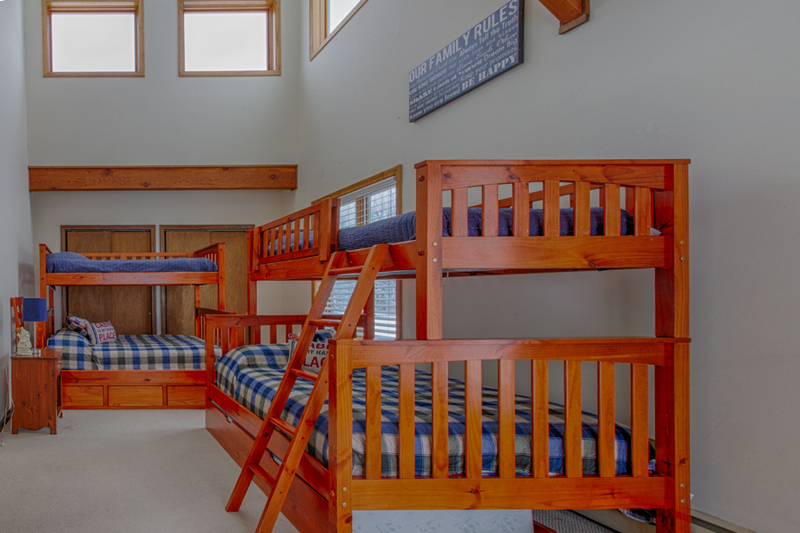 There's lots of room for families or groups to socialize inside and outage. 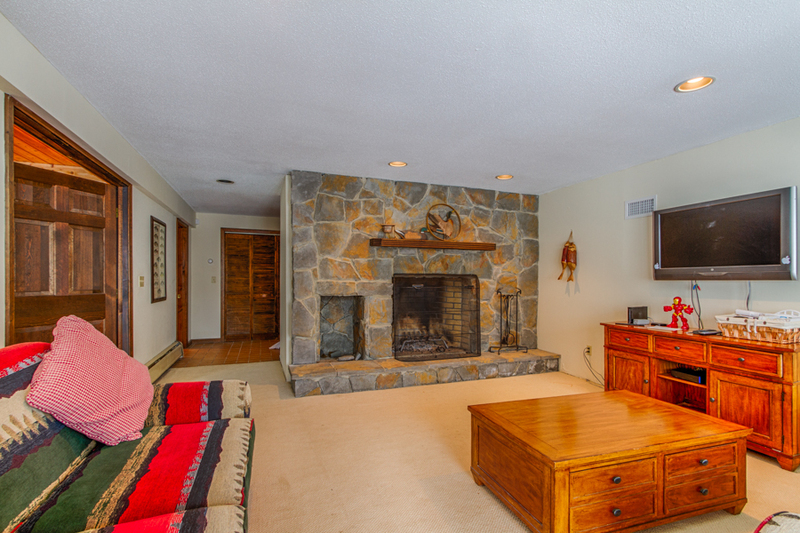 The towering stone-faced chimney spans three levels with wood-burning fireplaces in the living room and family room.